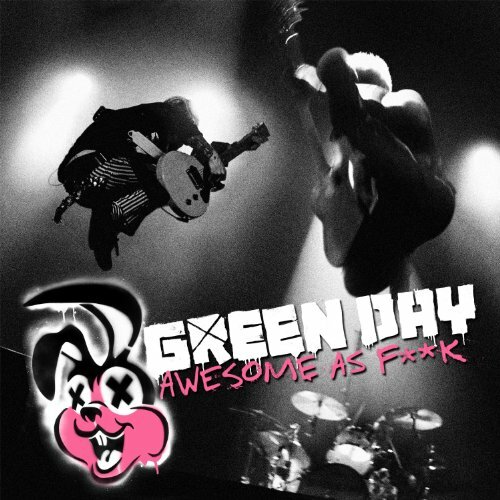 Multi-platinum rock band Green Day will release a brand-new live album, entitled Awesome As F**k, on March 22nd, 2011, on Reprise Records. Available as a CD with bonus DVD or as a CD plus bonus Blu-Ray, the set features explosive performances captured during the band's 2009-2010 World Tour in support of their Grammy® Award-winning album 21st Century Breakdown. Green Day recorded every show on the 21st Century Breakdown tour. When it concluded, the band members, singer-guitarist Billie Joe Armstrong, bassist Mike Dirnt, and drummer Tre Cool, sifted through the audio to deliver the best performances from their shows around the world. The footage on the bonus DVD or Blu-Ray was shot at the band's show in Tokyo, Japan. The package includes Green Day's biggest hits and fan favorites, including "21 Guns," "American Idiot," "When I Come Around," and "Good Riddance." Critics raved about the 21st Century Breakdown tour, which launched in North America in July of 2009.